"I want to do something to protect the mangroves. My future, as well as that of my entire village, depends on it." says Rollandine Vanonalava. She is the patrolwoman of the mangroves in Madagascar. 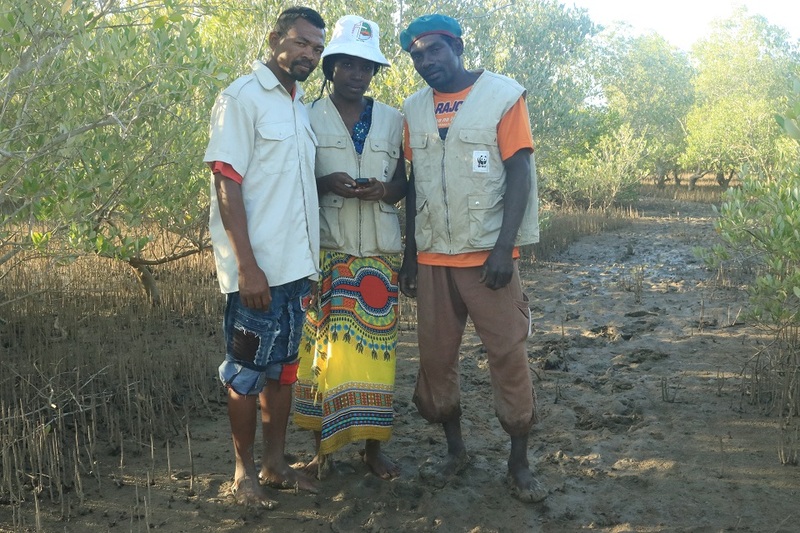 Trained and supported by WWF, Rollandine and her colleagues, take care of more than 1000 hectares of mangrove forests around her village named Antenina. This action has positive impacts for their village, but also for us in Europe. Indeed, mangroves protect the shores and it is where fish and crabs reproduce, which constitutes the food of the population of the Region. Mangroves are also an extremely efficient way to retain CO2, thus contributing to climate protection. Stopping the destruction of mangrove forests as soon as possible is WWF's commitment in Africa and Southeast Asia. For this, the team organizes reforestation of mangroves and develops sustainable alternative sources of income for communities, such as beekeeping or organic farming. Rollandine dreams of a better future for mangroves. Let's help her make this dream a reality. For our patrolwoman and the many other people who live thanks to mangroves, their existence depends on the health of those mangrove forests. And it's the same for our climate! Find the original version of this article in the first edition of WWF Germany Magazine.